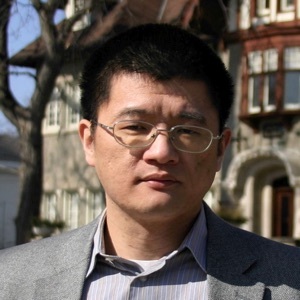 Bin Xu is an Assistant Professor in the Department of Sociology at Emory University. He receives his Ph.D. in Sociology from Northwestern University. His research has appeared in leading sociological and China studies journals, including Theory&Society, Sociological Theory, Social Problems, Social Psychology Quarterly, China Quarterly, and The China Journal. Bin Xu’s research interests lie at the intersection of politics and culture. He currently focuses on two lines of research. First, political and cultural sociology of disasters. His forthcoming book The Politics of Moral Sentiments: Civil Society and the 2008 Sichuan Earthquake in China (Stanford University Press) draws on a massive amount of data from interviews, observations, textual and visual materials, which he collected in the past seven years. The book examines how Chinese citizens participated in the rescue and relief efforts after the devastating Sichuan earthquake, how they interpreted the meanings of their act of compassion, and how the political context shaped their actions and meanings. A few articles derived from this project address other theoretical and empirical issues related to disasters, including the performance theory, mourning and commemorations, and politics of disasters. Second, collective memory. He is currently writing a book and a few related articles on the collective memory of China’s “educated youth” (zhiqing) generation—the 17 million Chinese youth sent down to the countryside in the 1960s and 1970s. In the past three years, he has collected data through life history interviews, ethnography, and archival research. This project examines how members of this important generation interpret meanings of their past difficulties and sufferings in and what their memories tell us about this generation’s mentality and their impacts on the society. His previous and current work on collective memory deals with WWII memories and nationalism in China.